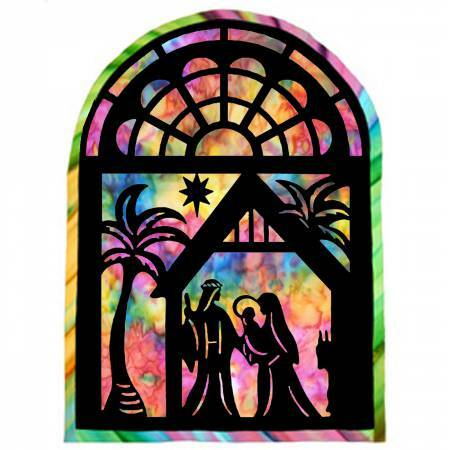 From Quilting Creations' Creative Iron, this Nativity design silhouette is laser cut from black Kona cotton with fusible web already applied to the back. 16-1/2in x 23in. Place and fuse onto the background fabric of your choice (background not included).